YANGON—Prominent political parties in Kachin State announced on Monday that a statement released by the Chinese embassy in Yangon, which described the Kachin people’s support for a controversial hydropower project in the state, was “inaccurate and misleading” and that the Kachin want to “permanently” halt the project. In response to The Irrawaddy’s story published about recent meetings between Kachin leaders and the Chinese ambassador to Myanmar, the Chinese embassy on Sunday released a statement saying that Kachin people were not against the resumption of the dam project which has been suspended for seven years. The embassy said the Ambassador Hong Liang visited Kachin State at the end of December to meet the leaders of local political parties and social organizations. Locally known as the Myitsone Dam, the $3.6 billion project slated to be developed at the confluence of two rivers which form the start of the Irrawaddy River, known as Myanmar’s lifeline, was suspended by then-president U Thein Sein in 2011 amid widespread public outcry over the dam’s serious social and environmental impacts. Environmentalists warned that it could potentially flood an area the size of Singapore, destroying livelihoods and displacing more than 10,000 people. The three prominent Kachin party leaders who met with Ambassador Hong Liang said the embassy statement was inaccurate and misleading. The Chinese ambassador visited Kachin State on Dec. 28 and 29, 2018 and met with Gumgrawng Awng Hkam, president of the Kachin Democratic Party (KDP), Manam Tu Ja, president of the Kachin State Democracy Party (KSDP), U Hkyet Thing Nan, president of the Unity and Democracy Party of Kachin State (UDP-KS) as well as Rev. 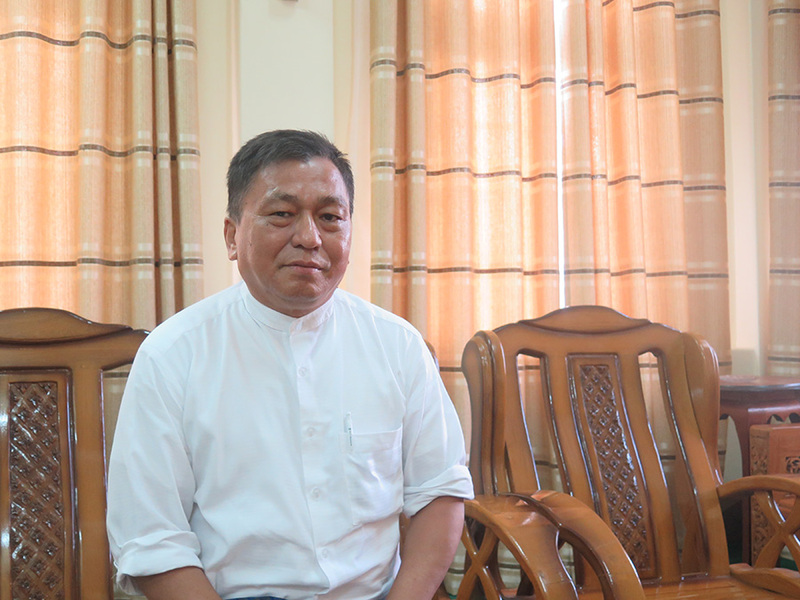 Hkalam Samson, president of the Kachin Baptist Convention (KBC). 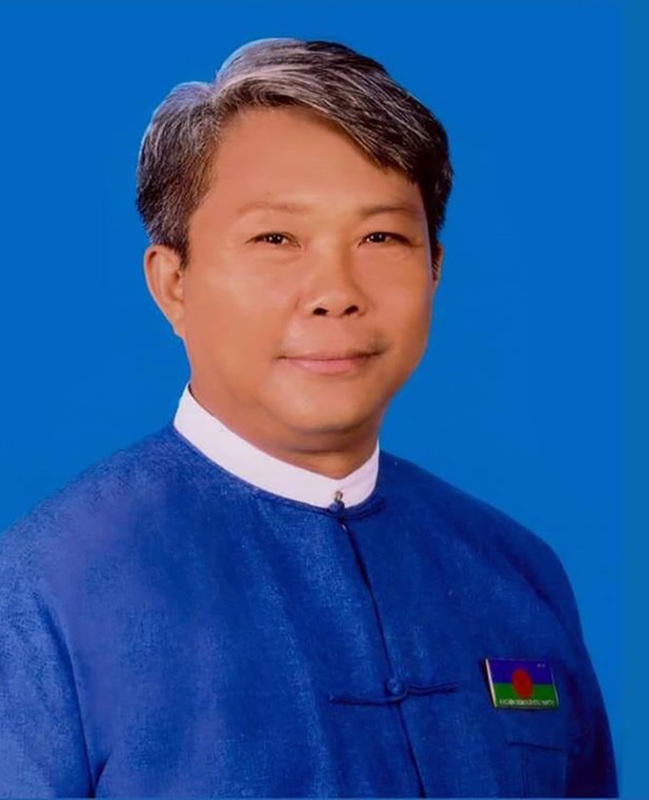 The three political parties are the most popular among Kachin people and they recently merged as a single party called the Kachin State People’s Party and will contend for the 2020 elections. KBC is the largest and most influential religious organization in the state and has a reputation for providing assistance to war refugees, working in drug eradication and educational support for locals. The Chinese ambassador also separately met U Si Phar Lar Lu, chairman of the Lisu National Development Party which won two seats in the Lower House of Parliament in 2015’s general election and U Sai San Wae, chairman of the Shan Ethnic Affairs Society which represents Shan communities living in Kachin State. The Irrawaddy contacted the political and religious leaders for their responses to the Chinese embassy statement. “We oppose the project now and forever. However, China refuses to give up and keeps trying [to move forward with the project]. They are giving the reasons that Chinese investors are hesitant to make new investments [in Myanmar] due to the failure of the Myitsone Dam. “We did not say in the meeting with the Chinese ambassador that we agree to restart the Myitsone Dam. They wrote the statement as they want. We don’t agree with it. 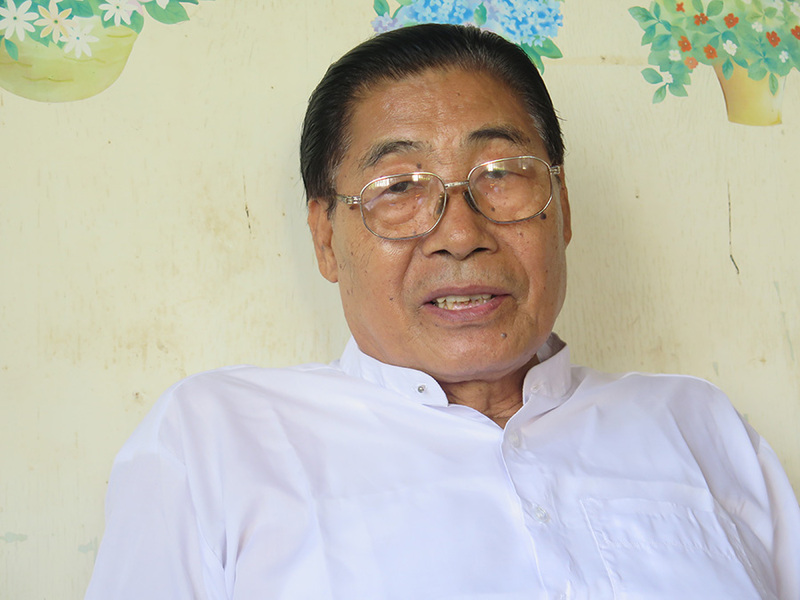 “We three Kachin parties met with the Chinese ambassador together. It took more than one hour. I did not say what they mentioned in the statement. I definitely did not say it. Our people have not changed their minds. They don’t agree with the construction of the Myitsone project in Kachin State. “I expressed my concern for the people who are living downstream of the dam project if the Myitsone Dam were to collapse. I also told them we don’t want to destroy the beauty of Myitsone which is also the [starting point] of Myanmar’s lifeline river, the Irrawaddy. “I told them that I could not make any decision on my own on whether to restart the Myitsone Dam. I have to discuss it with all the leaders in our organization. In my opinion, it would be better to have a public consultation about the dam instead of only our leadership’s comments on the issue. “I was also misquoted in the statement which said I told them about the differences between China and other countries and about strengthening cooperation with China. I only said that western countries’ first priority is human rights while China is focused on development issues. We have a lot of Kachin people in Yunnan, China so our religious leaders want to propagate the Kachin people in Yunnan.